The Calgary Flames promote responsible drinking and positive fan behavior at Scotiabank Saddledome. The Flames Fan Code of Conduct and the details of the Flames alcohol management plan that appear below ensure that fans have a safe and fun experience. Fan courtesy is an important element of enjoyment at the Scotiabank Saddledome and we request all guests be respectful of others around them. Any guest who interferes with the enjoyment of another individual during an event is subject to ejection from the building. During performances, we ask all guests to remain seated for the duration of the performance or until an appropriate break occurs. Depending on the demographics of some events (such as concerts), standing may be accepted as normal protocol. Guests are permitted to stand if the majority of the audience is doing the same. Some entertainers will instruct the Scotiabank Saddledome staff not to ask anyone to sit down during their performance. Standing on seats or any other building structure is not permitted and may result in ejection from the building. To enforce these policies, ushering and security personnel are located throughout the building during all events. Those who observe other patrons violating these policies should report the incident to the nearest building representative. The Scotiabank Saddledome has the right to address inappropriate behavior and failure to do so may result in eviction. Ejected patrons will not receive a refund for their tickets or be compensated in any way for their loss. 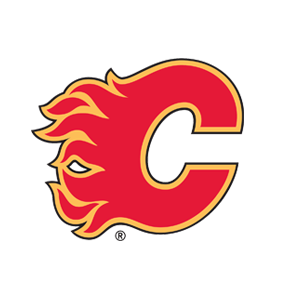 Whistle Policy – As a courtesy to your fellow ticketholders during Calgary Flames and Calgary Hitmen games, we ask that you do not walk around in the seating area until there is a stoppage in play. The Calgary Flames offer fans the Budweiser Good Sport Designated Driver program at all Flames games at Scotiabank Saddledome. Budweiser Good Sport encourages fans to volunteer as designated drivers to and from the arena. At every Calgary Flames home game, Budweiser and the Flames will host a booth where designated drivers can sign a pledge stating they will refrain from drinking during the game and will provide a safe ride home to their companions. In return for signing the Good Sport pledge, designated drivers will receive a free coupon for a soft drink and will be entered into a draw to win a Good Sport gift package.